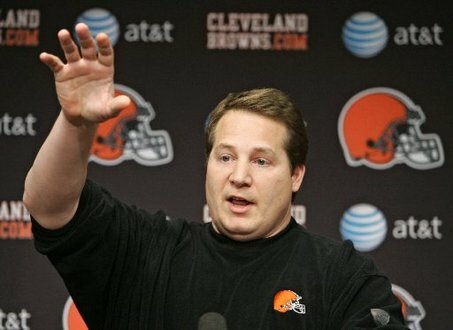 In Mangini I trust;Grading the Browns during the Bye Week…. The Browns Quarterback position is in a familiar position so far this year going through three Quarterbacks in seven weeks. The main thing that is different this year, is that there is some talent at the position unlike in the past. Our third string Quarterback is better then Quinn and Anderson the past few years. I would give Delhomme an Incomplete for only playing the first game against the Buccaneers where he made a few mistakes that cost the Browns the game but looked pretty good at times. Against the Falcons he was still injured and it showed in his performence. He hasn’t played enough to grade him so far this year. Seneca Wallace looked pretty good in his few games that he has played despite getting injured a few weeks back. I would give Wallace a B. Name a backup Quarterback in the NFL that you would want to start over Wallace? Seneca has made a few mistakes that have hurt the Browns but he has done more good then bad for the team. Colt McCoy has been in a very tough situation for a rookie to be thrown into. He has gone to Pittsburgh and New Orleans in his first two starts and was able to manage both games very nicely. McCoy hasn’t made to many plays but also hasn’t made to many mistakes in his first two games as a starter. McCoy has shown poise and could be the Quarterback of the future. I would give him a C+ so far after his first two starts of his career. Jerome Harrison was supposed to come in this year and pick up where he left off in 2009. We all know what happened with him, he didn’t produce and was shipped out of here for Mike Bell. Peyton Hillis has been a pleasant surprise and looks like he understands what it means to be a Cleveland Brown. Hillis really punishes defenders every time he touches the ball. Lawrence Vickers continues to punish defenses and is showing why he is a good Fullback for the Cleveland Browns. I hope he signs a contract very soon. The question with Hillis is if his body can hold up over sixteen games. I would give Peyton an A- and the only reason it’s a minus is because of the Steelers game. I would give Vickers a B with his outstanding blocking ability. This is the position the team needs to improve this off season. Its starting to become really clear that the two second round draft picks in 2009 are busts. Mo Mass could possibly develop into a decent number two receiver for the Browns one day but it is a shame the Browns wasted a second round pick on him. Has Robiskie even shown up for the Browns since they drafted him last season? Robiskie was supposed to be a nice position receiver, but he doesn’t look like he can get open to make a catch. Chansi Stuckey has played decent but needs to be more consistent for the offense this season. Josh Cribbs also has played better at Receiver then what he has in years past, but it isn’t good enough to lead an NFL team. I would give the following grades out Massaquoi F Robiskie F Chansi Stucki D+ Josh Cribbs C.
The offensive line ,I thought was going to play better then what they have so far this season. They have given up 14 sacks so far and have let the Quarterbacks take a beating. There has been some penalties that have killed drives and have ultimately mad the football team lose games. We can’t have the mistakes that are being made by the O-line to have a shot at being competitive in the AFC North. This was supposed to be the strength of the Football team in 2010. This is the position that has been a bright spot for the offense. Ben Watson has played outstanding so far in his first year for the Cleveland Browns, helping bail out the Quarterbacks. Evan Moore has also played pretty good making a few nice catches and adding a weapon for the Offense. I would give Evan Moore a B- and Ben Watson a B. I would of given Watson an A, but he has made some stupid penalties that have hurt the team. Heck even Robert Royal has played pretty good so far in 2010. The Browns Defensive line has sacked the Quarterback 13 times so far in 2010 and looks to be much improved putting pressure on opposing Quarterbacks. The Browns have been able to stop the run so far this season also and this could be the best Defense the team has had since they have been back. Rubin has been great in 2010 and look for him to continue to grow during his second season in the league. I am very surprised Rogers is still with the Brown and Orange after the trade deadline. As a group I would give this position a A- it still could be improved, but so far its playing like a playoff Defensive line. This is another position that has played much better this season then what it has in years past. I think we can still get a lot better at this position when we are ready to compete for the AFC North next season. I like Matt Roth a lot and also what a pleasant surprise Marcus Bernard has been this year. David Bowens had a career game last week against the Saints, but not sure how many years he has left in him. The team could use a couple more quality players at this position. Joe Haden and T.J. Ward have looked really nice on the field for the team in there rookie year. Sheldon Brown was a nice pickup from the Eagles and Mike Adams is doing what he usually does, a pretty consistent backup in the defensive backfield. Eric Wright is where the problem is this 2010 season. I look like a fool thinking he was going to go to the Pro Bowl this year and all he has done is get burned all season long. He cost the team at least two games and we are lucky we didn’t lose to the Bengals because Palmer and Owens had a field day against us. I like where this position is headed and it might not be quite there yet, but it is close to being a pretty good secondary in the NFL. Phil is Phil outside of missing a kick at the Stadium early in the season, he has done a pretty good job for the Browns. Why haven’t we signed him to contract extension yet? I am starting to worry that Phil’s days in Cleveland could be coming to an end. How about Hodges? He has really ran with the Punter position since he became the starter do to an injury. Josh Cribbs on special teams has let me down a little bit not returning a kick back and putting the ball on the field a few times. I hope Cribbs can break out of it and turn it around the second part of the season. Coach Mangini is turning this football team around there is no question about it. Look at the talent he has and what he goes up against every week in the NFL. The Browns have been leading in every game this season and I believe aren’t that far off to becoming a playoff team. The results might not show it, but this team has gotten better every week so far and I look for that to continue the rest of 2010. Rob Ryan and Brian Daboll both are doing a helluva job with what they have to work with.I am excited for when this teams adds a little more talent because this team could do something special. I really hope Rob Ryan doesn’t become an NFL Head Coach next season. 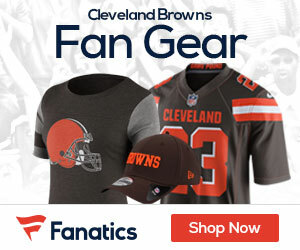 That dog is not the browns logo. An A+ for coaching!? I was with you about 75-80% until you got to the coaching grade. You’re going to need to expand on that explanation a whole lot more to justify such a grade. I am, by no means, calling for Magini’s head and I’ve been a fan of Ryan since he got here but Daboll fails way more than he succeeds.